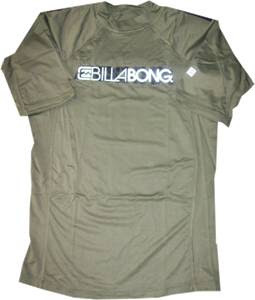 Want to win a brand new Aloha Beach Camp Billabong rash guard swim shirt? Here's all you have to do. Sign up now for our "7 in 7 Contest," where we'll randomly award 1 rash guard per day for seven days to anyone who follows us on twitter and includes #alohabeachcamp in their tweets. Tweet anything you like in your message, but be sure to include the #alohabeachcamp hashtag somewhere in the tweet, otherwise you won't be eligible to win. Don't forget to follow @alohabeachcamp to find out if you've won. 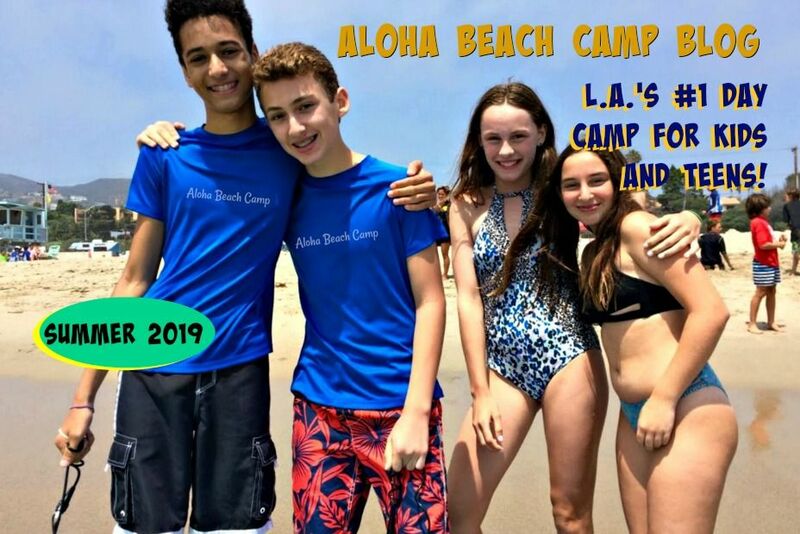 This competition is offered by Aloha Day Camp LLC ("Aloha Beach Camp") and is open to anyone with a Twitter account who is at least 16 years of age. Employees, agents, affiliates and family members of Aloha Beach Camp are not eligible to enter. The competition give away will begin at 12pm Pacific Standard Time (PST) on Saturday, February 6 2010 finish at 11:59 am on Friday, February 12, 2010. 7 prizes will be available, 1 per day for each of the 7 days of the competition. Winners will be chosen at the end of each of the 24 hour periods starting at 12pm PST each day. Winners will be announced after the close of each day from the Aloha Beach Camp Twitter account shortly after close. 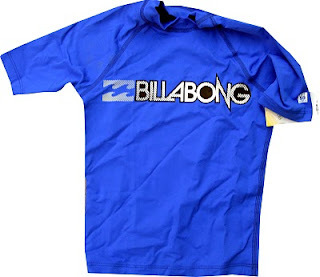 The prize itself is a brand new Aloha Beach Camp rash guard/swim shirt, the same kind our surfing instructors and lifeguards wear when they're teaching surfing lessons to our camper children on the beach in Malibu. We purchase the prize on your behalf. If the winner's shipping address is in the United States, we will pay for the shipping. If the shipping address is outside the United States, we will split the cost of the shipping evenly with you. (You must prove ownership of the winning entry and your shipping address). We will dispatch the prize within 31 days of the competition closing date. 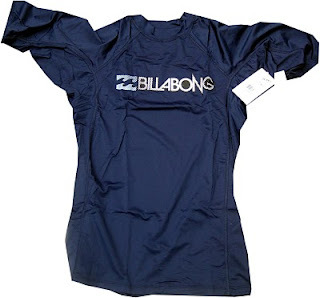 The rash guards shown above do not necessarily represent the actual rash guards to be awarded as prizes. Aloha Beach Camp makes no warranty or guarantee that the contest winner(s) will be pleased with the rash guard size or color awarded as prizes, however, we will do our very best to accommodate the winner with the size and color you want. To enter the competition you must send out a tweet from your own Twitter account and include #alohabeachcamp in your message. The rest of the message is up to you, and you are welcome to retweet our competition launch tweet and this webpage's URL. Or just say whatever you want. But don't forget to include #alohabeachcamp in your message, otherwise you won't be eligible to win. You can tweet as many times as you like (though entries using automated tweets will be disqualified), and tweets during different 24 hour periods will be entered into the competition for that period only. So tweet again when one period closes and another begins. We will choose winners randomly from all the entries within a particular 24 hour period ending 11:59 am Pacific Standard Time each day. We will then announce winners from our twitter account (@alohabeachcamp) shortly thereafter, so keep listening to see if you've won. 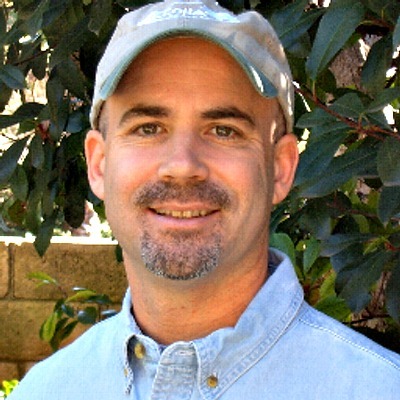 Daily winners will be chosen using a 3rd party computer program unaffiliated with Aloha Beach Camp. Neither Aloha Beach Camp nor its affiliated companies or parties shall have any liability for (i) any technical failures of any kind, including but not limited to malfunctions, interruptions or disconnections in phone lines or network hardware or software; (ii) technical or human error which may occur in the administration of the competition; (iii) any malfunction of or damage to the prizes; or (iv) any restrictions or delays imposed by any customs authorities or any import or other taxes of any kind imposed by any taxation authority in respect of the prizes.